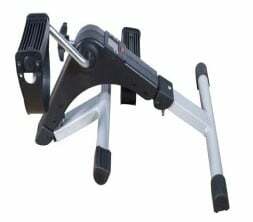 Drive Medical Folding Exercise Peddler with Electronic Display has a five function display which indicates exercise time, revolution count, revolutions per minute and calories burned. 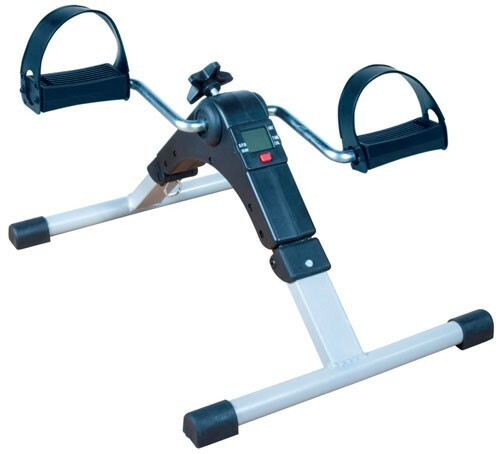 The resistance can easily be adjusted with a tension screw, making it ideal for leg and arm muscle exercising. 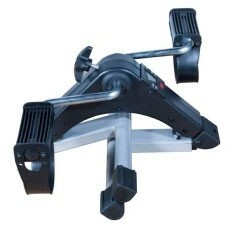 Comes completely assemble and is easily folded for storage and transportation. Warranty: Limited Lifetime. According to the manufacturer, use a small screw driver and remove the display panel. Turn the display panel over and remove the watch- style battery. 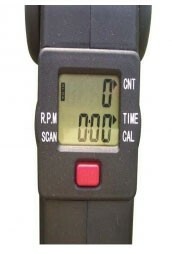 Insert a new battery and replace the display panel. Handy product for a great price. I recently had spinal surgery and currently can't walk without a walker. 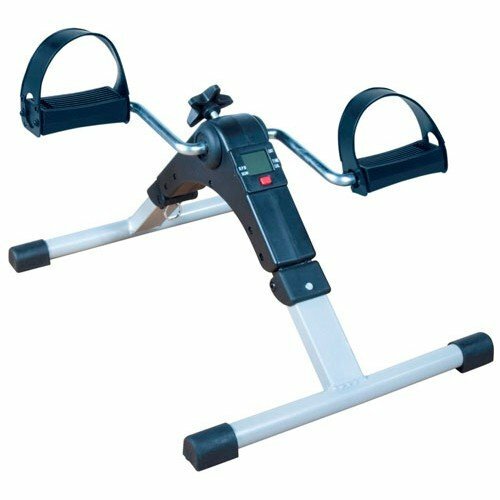 This peddler allows me to exercise from my bedside without having to transfer in and out of a recumbent bike. I use it for my legs and my arms. product hasn't arrived yet so there really is no rating. funny how you want a review for a product I haven't received. shipping is disjointed and you don't seem to know what is going on with your orders. slowest service I have seen from a company for some time now. great equipment addition and very portable.